The Dean of the College of Social Sciences, Dr. Adnan bin Nori Al-Harbi, launched the cultural programs at the Department of Mass Communication for the second semester of the academic year 1439/1440 A.H. 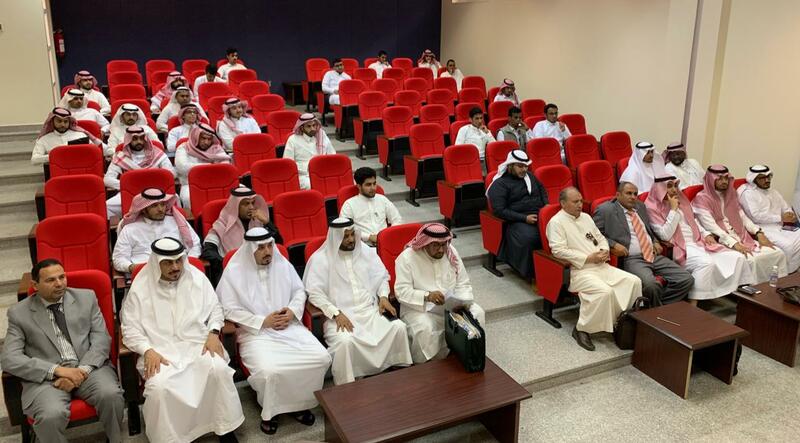 The launch took place during a scientific lecture presented by Prof. Wadi` bin Muhammad Al-Az`azi about his recently published book, “Rumors and Social Media Networks: Risks and Means of Confrontation”, in the presence of the Head of the Department, Dr. Salim bin Ali Urijah, faculty members, and students in the college's celebration hall. 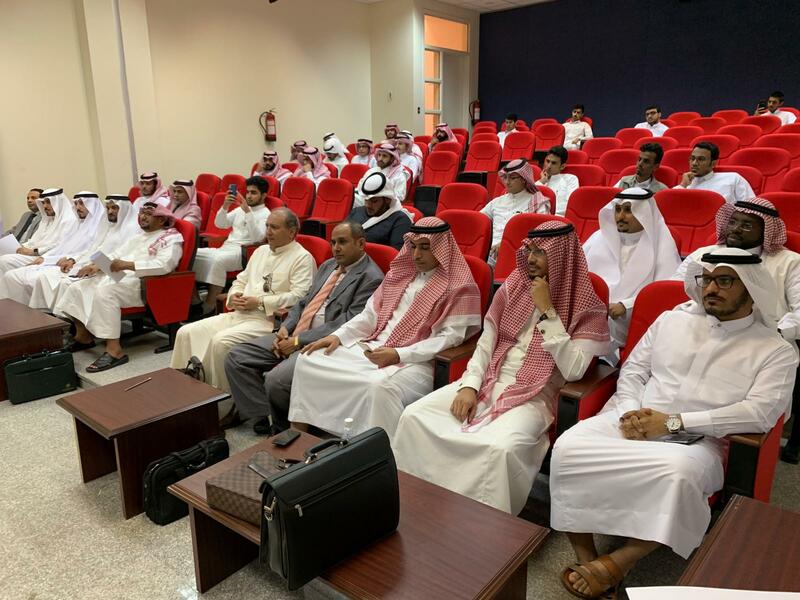 The dean of the college, Dr. Adnan Al-Harbi, confirmed the importance of developing the intellectual, cognitive, and research production of the college in order to fulfill its educational and research mission and contribute to social and humanitarian development in line with Saudi Vision 2030. He also expressed appreciation for the support and directives provided by His Excellency the UQU President, Prof. Abdullah bin Omar Bafail, for the educational and research environment and the activities and events of the college. 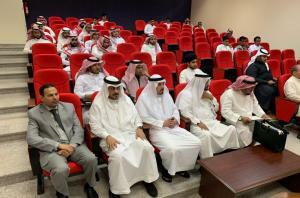 The Head of the Department of Mass Communication in the College of Social Sciences, Dr. Salim bin Ali Urijah, said this meeting is part of the cultural program organized by the department based on its vision, mission, and strategic plan which is in line with the plan of the college and university. 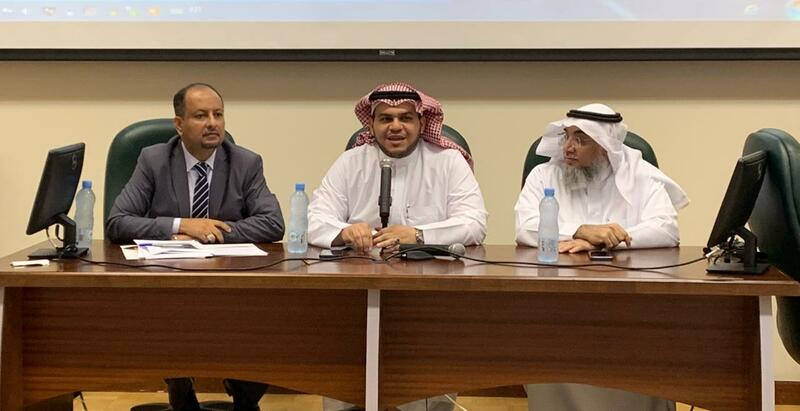 He said the department seeks to expand its scientific, cognitive, and innovative research to provide its students and academic staff with more skills in the social sciences. Prof. Al-Az`azi reviewed the methodology he adopted in his book, which contains an introduction and four chapters related to the topic of "Rumors and Social Media Networks: Risks and Means of Confrontation", stressing that his keenness to write this book was the result of the significant effect of social media in our lives as an important source of news and various types of information. The book contains four chapters. He noted that intellectuals and opinion writers currently use social media to engage with their audience and deliver their opinions. Such techniques leave a huge impact on those who use the internet. He remarked that in order to control such internet followers, some users treat social media as a fertile ground to spread rumors and false news. This poses a serious challenge for users of these networks in distinguishing between true and false information. He indicated that the idea for the book stemmed from a need to confront such challenges using modern scientific methods and techniques in the new media. In the first chapter, the researcher reviewed the following: What are rumors? Their goals, characteristics, types, phases of formation, and factors that spread them. The second chapter discusses the concept of social media; its features, types, and effects. The third chapter discusses the reality of rumors in social media and the relationship between social media websites and rumors, the role of social media networks in spreading rumors, how rumors are spread, as well as their sources, in addition to the individual's identity on social media. In the fourth chapter, Prof. Al-Az`azi discusses the risks of rumors and the ways of confronting them. 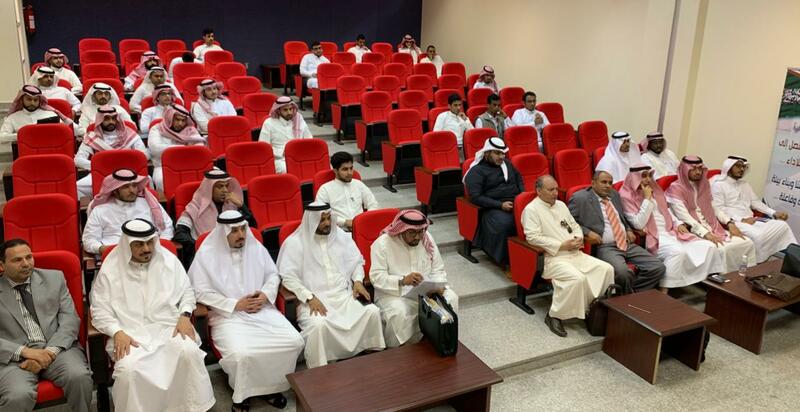 The first section analyzes the risks of rumors and their effects on the community, while the second section discusses the ways of confronting rumors in social media networks.